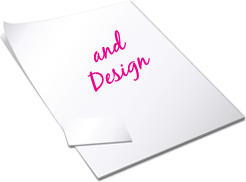 Allen & Goel Marketing Company offers a full range of business printing and design services. We are well aware that you have many choices when it comes to selecting a company to fulfill your print and design needs. As a result of understanding that, our company focuses on "the added values and services" we can offer our customers. Imagine all of your printed supplies, direct mail advertising and corporate sales materials ordered with just one phone call. We want to be that Total Solution for you. Remember, our goal is to make your print and design projects as stress-free as possible.